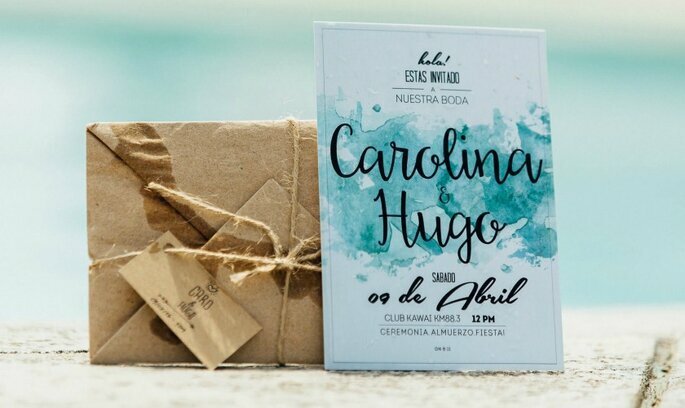 Love can spring up anywhere and at anytime...as was the case for Hugo and Carolina! 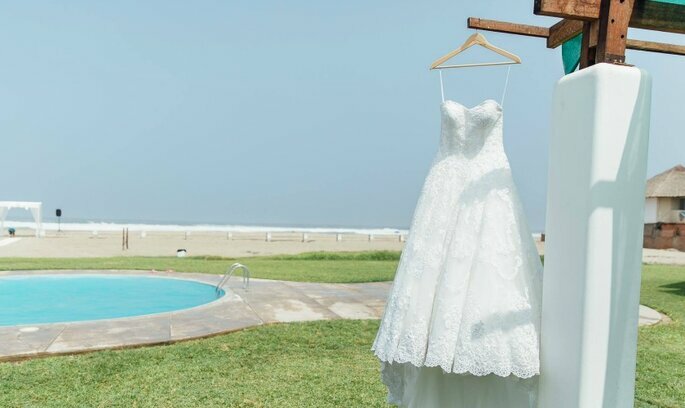 Check out this Peruvian Real Wedding for more inspiration! 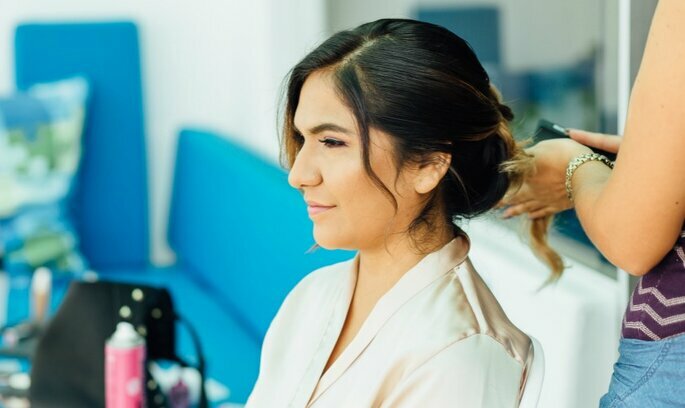 Carolina and Hugo’s love story also happened when they least expected it to, and it has grown into a magical and meaningful relationship. Read the story of this couple- now 6 months happily married. On the 5th of February 2011, Carolina was invited to a punk concert in Cieneguilla by her friend. She never imagined that this would be the night that she would meet the love of her life. Hugo played guitar in a band, and had arranged to go to the same concert as Carolina with a group of his friends. They met just before the concert began so they had time to chat together amongst friends. They chatted and laughed together for hours, as if they had known each other for their whole lives. The magical night ended with Hugo dedicating a song to Carolina. Love had crept up on them without them even realizing it! After their first unexpected meeting, they continued to message and call until Carolina agreed to go on a date with Hugo on Feb 15th. The dates continued and the two clearly had chemistry. On June 13th, Hugo told Carolina he was in love with her. 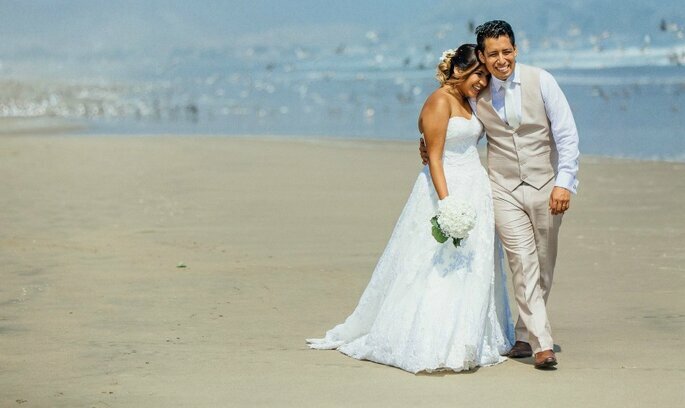 The relationship would be smooth sailing, and a few years later Hugo and Carolina were due to be married- 3 years and 1 day to be exact while running on the Barranco boardwalk on a clear and sunny morning. Hugo waited for the sun to rise, and with this beautiful backdrop he knelt down and asked Carolina to be his wife. On their wedding day, they each gave each other beautiful rings- Hugo’s parents’ rings. 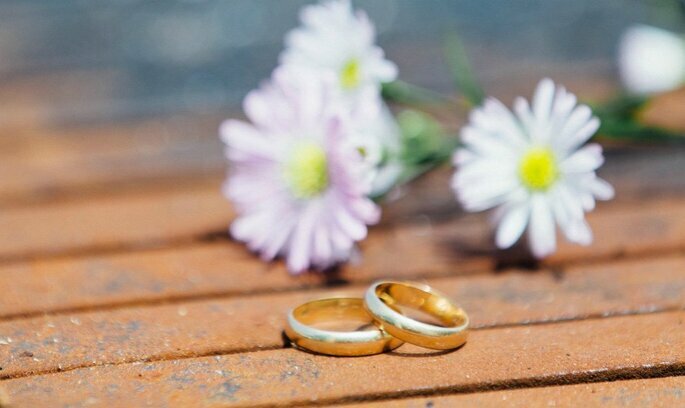 These rings would be emblems of their neverending and eternal love. 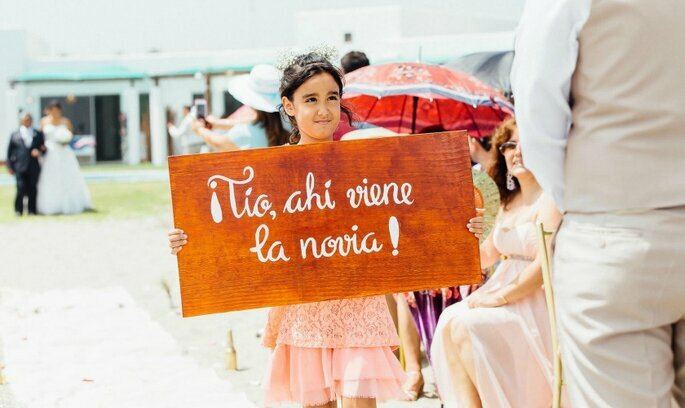 The couple designed their own wedding invites, and they also used handmade envelopes, which their parents helped them with. 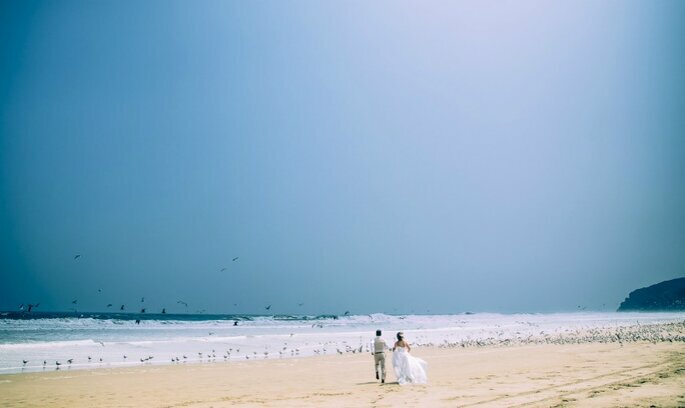 Their wedding took place on the 9th April in Kawai. 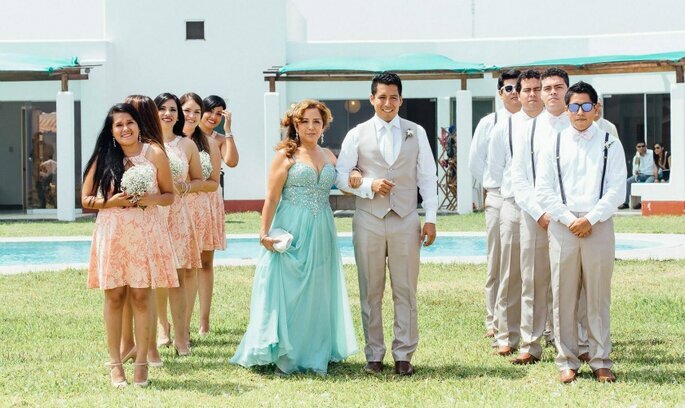 There was a personal story behind the choice of their location, as Hugo and Carolina had volunteered as youth leaders there for a Biblical Union. 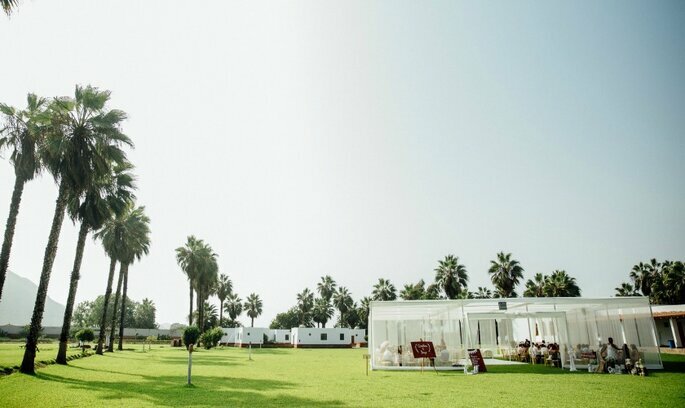 Thus, this venue had become symbolic of their ever-growing relationship and where they had made many unforgettable moments. 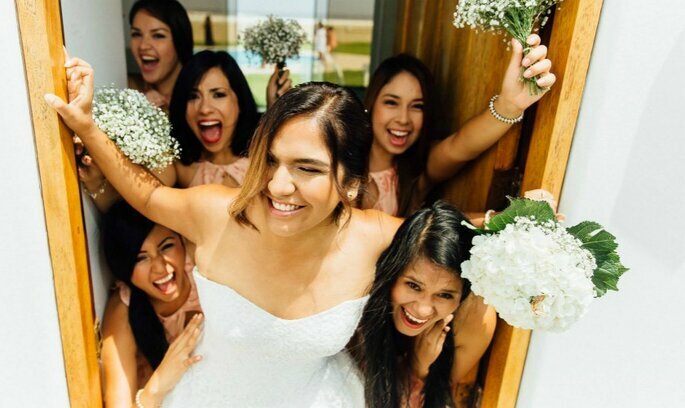 Carolina’s bridesmaids also stayed with her in the bungalow just before the big day. 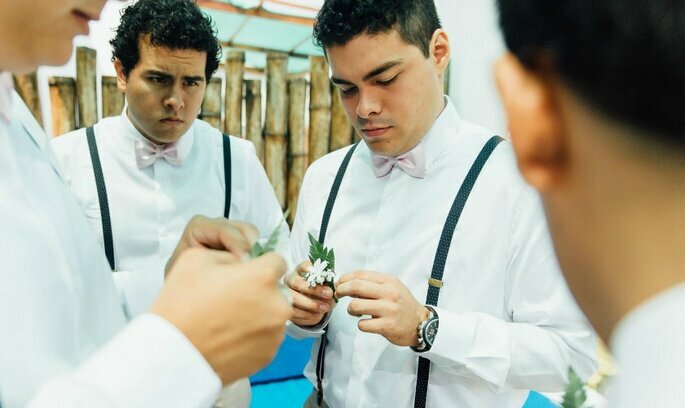 Hugo was also in the company of his groomsmen, cousins, brothers and his closest friends. It was a special part of the day for both of them! 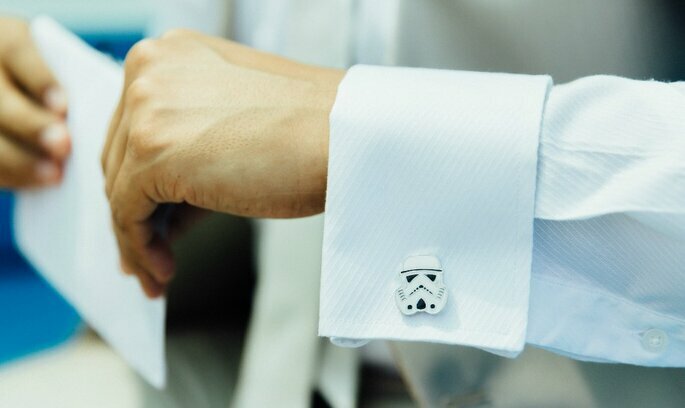 On the wedding day, Hugo wore some StarWars cufflinks that Carolina had given to him as a present. 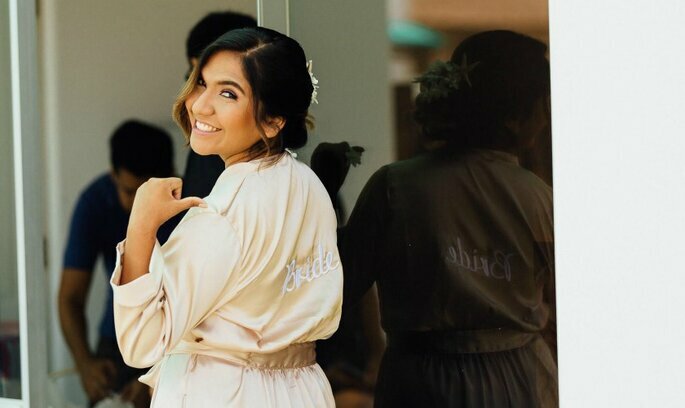 Both of them are big fans so it was a nice way for Carolina to surprise him and it added a personal touch to the groom’s look. 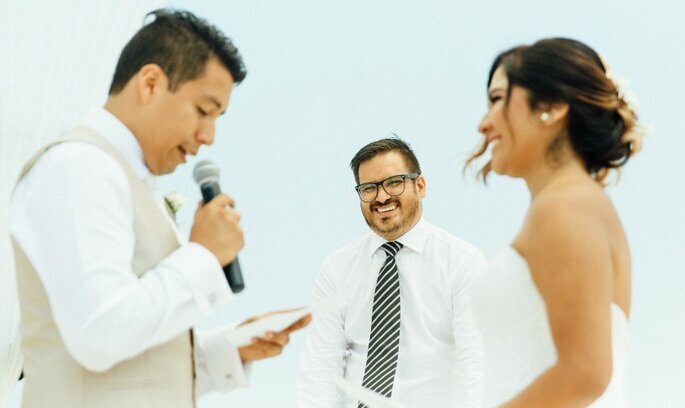 A pastor who had history with the couple and had cultivated a close friendship with them conducted the ceremony. 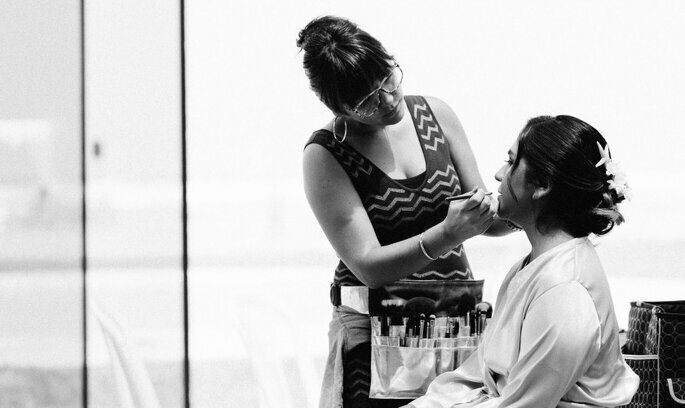 Every minute of this wedding was memorable and emotive. They tried to record everything, down to the smallest detail so that they could keep it in their hearts forever. 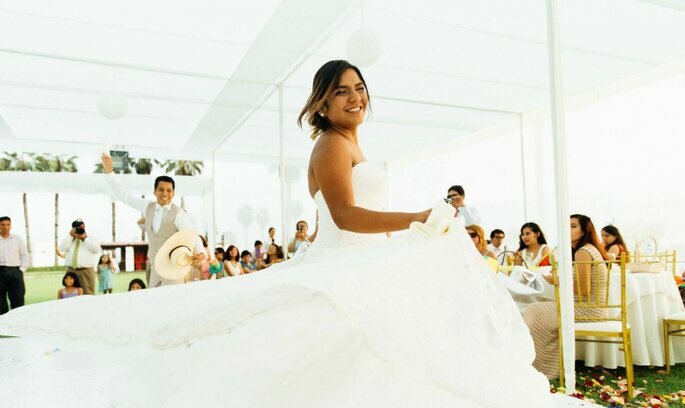 The photographer Ronald Barros, whom they had met at a wedding photography workshop, recorded these special moments. Being professionals in this line of work themselves, Carolina and Hugo had also participated in this workshop. 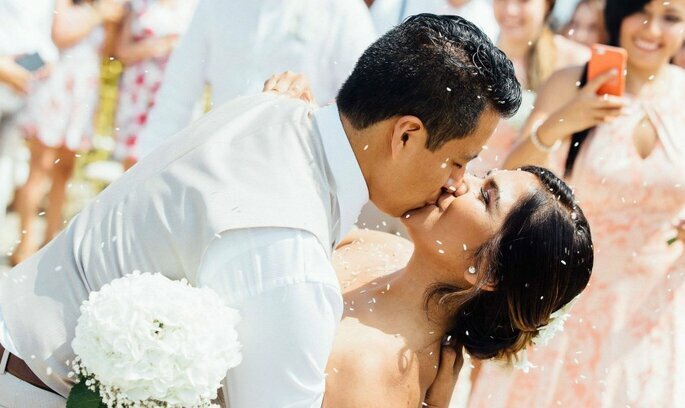 In Carolina’s words, Ronald managed to capture their love story perfectly. The reception was also a beautiful part of the day, and the guests could enjoy the exquisite food prepared by Kaluvia Events. The wedding cake was a rich chocolate made by Tortas Bica, and decorated with shells and starfish. The celebration continued in front of the sea, where the couple had spent many times together. The couple closed the party by sailing off into the distance together. Robert Barros captured this spectacularly and ingenuously. 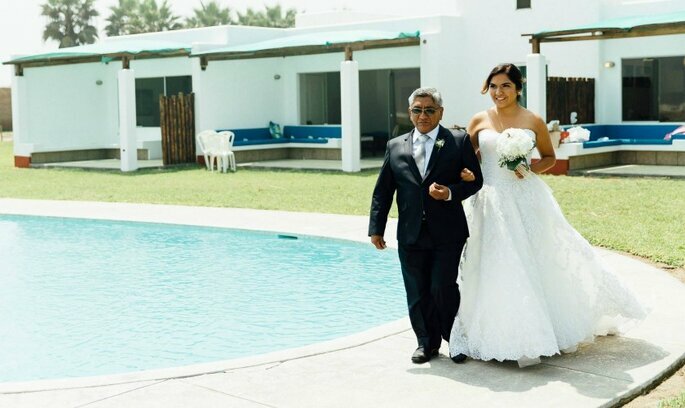 Now happily married, Carolina and Hugo remember their special day as the wedding of their dreams. It couldn’t have been achieved without intricate planning, their pure and honest love, and help from family and friends. Zankyou wishes them both a lifetime of happiness filled with crazy, crazy love. 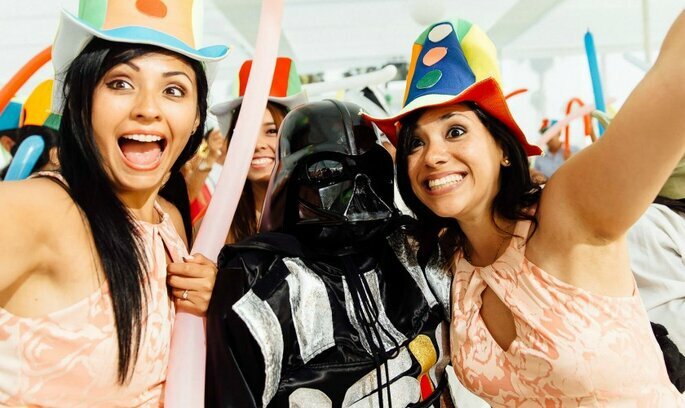 Click here for more Real Weddings!